We’re creative thinkers and solution focused. 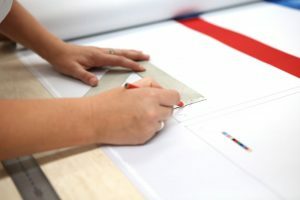 Our specialty is fabric printing, and providing clients with fabric printed solutions. Often that means using fabric in new ways, or attaching fabric to various substrates in order to provide a final solution. We offer our customers various solutions that include both hardware to support our graphics as well as the actual fabric graphics too. 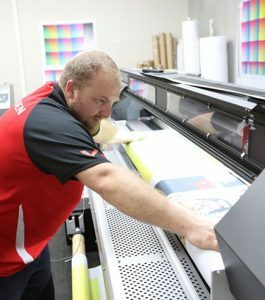 Where we excel is in finding fabric printing solutions where others have come unstuck. We’re highly creative and have years of experience within our team. This means we often find solutions to printing that others can’t. And we love these kinds of challenges. 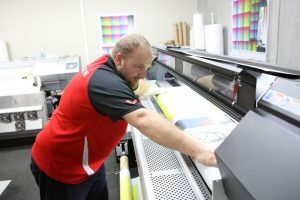 Being at the forefront of our industry, employing experienced printers and finishers and understanding dye sub printing like few others, we’re well placed to handle any fabric print project. We like to talk over a project face to face, or meet on site to see the issue for ourselves. We can then understand the requirements better and understand the key parameters of the project. Next we’ll come back to you with questions and then a complete response with an indication of investment. Once we’re clear and we’ve agreed the final solution then we’ll provide a final quote. All our responses include an indication of timings, so as a client you can be sure of delivery and we’re sure about your expectations. Sometimes this is the tricky bit. We’re often asked to come up with new ways to print or solutions that are a little “out the box”. This is where we test and run prototypes to ensure we get the final print run absolutely correct – no-one likes last minute surprises. At other times the manufacture is far more straightforward, and we’re repeating a process done many times before. It’s all about quality control and ensuring the best finish. Always the most exciting part, as clients see their ideas come to fruition. 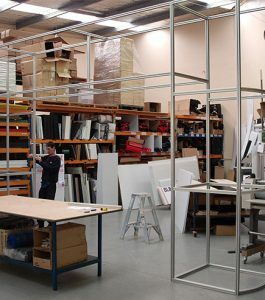 Often our printed fabrics are used as part of an exhibition solution, and so delivery often includes a complete install. 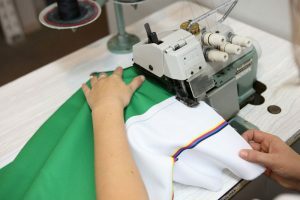 We never like to simply deliver, believing that it’s important to talk through the finished product, educate in fabric care and train how to set up our solution. Delivery to us means so much more than A to B.